Attacks to spring sown peas and beans cause the greatest yield reductions; backward crops are also at high risk. 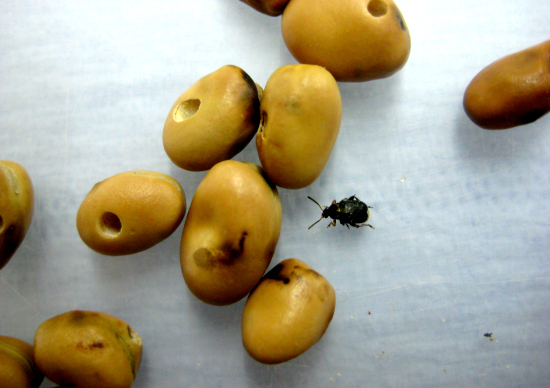 The PGRO have noticed that this pest has become more difficult to control in recent seasons. Pyrethroid performance and efficacy varies. To achieve the best results Syngenta advises applying HALLMARK ZEON at the first signs of leaf notching (75 ml/ha) and repeat after 2 weeks (75 ml/ha) if damage continues.